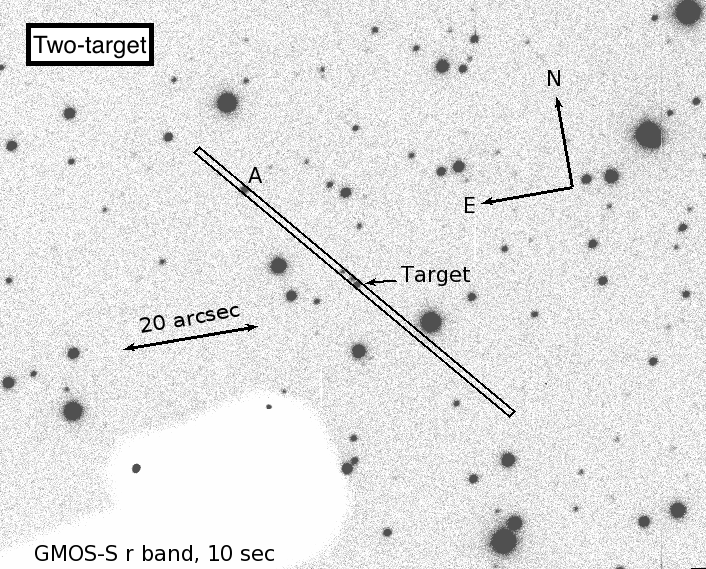 By default the observer will use the optical Digital Sky Survery or the 2MASS image of the field in the Position Editor to identify the target during acquisition. An additional finding chart should be provided any time there are uncertainties about the identity of the target, e.g. crowded fields or very faint sources. If in doubt, submit a finding chart! Finding charts should be submitted to Gemini using the File Attachment tab of the Gemini Science Program component in the Program Editor. The target position must be clearly and correctly indicated. Indicate if the target is a transient and whether it is actually displayed on the chart. 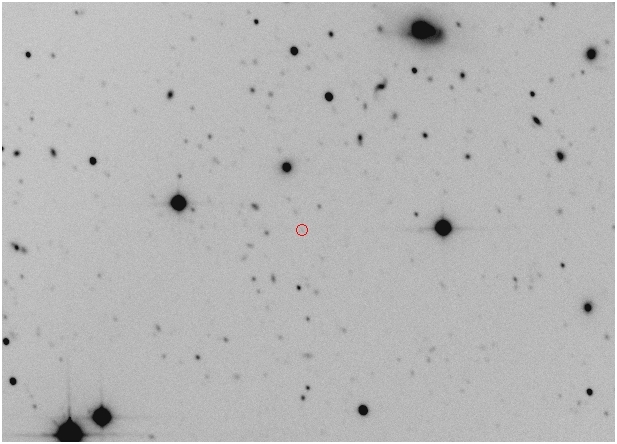 The description in the File Attachment tab should be in the format '[N1,N2, ...] Finder' where N1, N2, etc are the obsid numbers of the observations associated with that finding chart. North and East must be clearly indicated. It is best to follow the convention of North up and East to the left. The image scale must be indicated with a scale bar annotated with the length in arcseconds or arcminutes. The filter or wavelength range of the image must be indicated. Longslit or IFU finding charts should show the position of the slit or IFU field. The entire instrument field-of-view should be shown. The recommended file formats are GIF, JPEG, TIFF, and PPM (pgm, ppm, png). Postscript and PDF are also acceptable. FITS format should not be used for finding charts. The following is an example of a good finding chart. 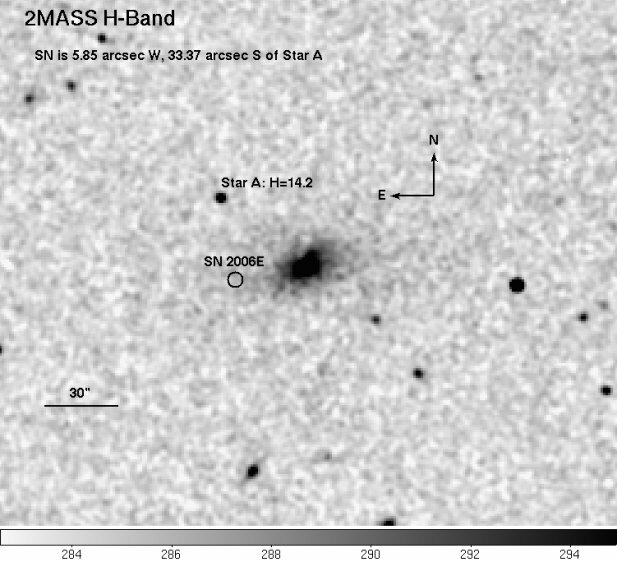 The bandpass and source of the image is given and the orientation, scale, target, and offset star are clearly marked. The following is an example of a good spectroscopic finding chart. The orientation is given and the two objects that should be in the slit are clearly marked. The following is a poor finding chart. The target is indicated but the orientation, scale, bandpass and instrument field-of-view are not given.